Inside: Learn every single thing you need to how to stop yelling at your kids in a guilt-free way from a Mental Health Therapist and Mom who’s also been a yelling mom! You gave the 5-minute warning for coats and shoes. Now the clock is ticking closer to t-minus LATE LATE LATE and there are two kids standing around whining that they can’t find the shoes that they aren’t even looking for. You gave several additional warnings. The clock ticked. No shoes were found. The Facebook video of the snails or sloths you saw yesterday moved faster than your kids are doing now. Your kids started fighting over which hat they were each wearing today. The bickering gets louder and louder, as the dishwasher whirrs and the dryer thumps in the background. Now you’re taking deep breaths, trying to assess the extent of your lateness and decide your next move. But it’s not working. This has happened to you before right? Maybe more than once. Or maybe it was some other scenario, like your child coming out of his room for the eleventy billionth time to ask for a glass of water to stall bedtime…. When you lost it and blew up on him. I know you try so hard to stay positive and keep your cool, but when the pressure is on, sometimes you blow it. Phew, that’s tough to admit, isn’t it? Believe me, I know how tough it is. Three years ago I was right there in your shoes. My boys were 3 and 1. I’d just moved to a new place. It was snowy and I was stuck at home. I didn’t have any friends and I was in what I call a mom funk. I was unhappy and mad at my life, so I became a mom monster, a Hulk Mama, I like to call it. I snapped at my kids all the time. I glared at my husband. I was just not in a good place. Then one morning, I was working on my computer on the couch, while watching morning cartoons with my three-year-old. My one-year-old cruised the furniture as toddlers do, and I sat there just typing away, drinking my coffee. My three-year-old, being three, started to get a little restless and started jumping on the coach a little bit and moving around doing somersaults. I needed to get this stuff done. And then he sat down really hard and he leaned against my arm, which caused my coffee to splash out and all over my computer. I mean just completely blew up at my three-year-old. I started yelling and screaming and RANTING. I was throwing verbal bullets at my kid. I screamed at a level that I’d never screamed before. The anger seeped out of my pores I was that angry. My life was changed in that one terrible, horrible moment. If you’re yelling at your kids and wondering how to stop, the first thing I want you to know is that you’re not alone. Since I built this blog and started working closely with mothers that yell, I’ve discovered that almost ALL parents yell. I’ve personally worked with thousands of parents who struggle with their own anger towards their children. They feel like they are ruining their children, which isn’t true. It’s okay to get angry from time to time, we’re human, it happens. Have you been there? Have you ever yelled at your kids and been so surprised by just how angry you were? And then felt really guilty about it? Have you ever asked yourself, How can I stop yelling at my kids? Well, you’re in the right place. It just so happens that before I had kids I worked as a Mental Health Therapist helping families in crisis. I thought I knew so much about kids and parenting that I would be a great parent, but then reality hit. It was quite the blow when I realized that I didn’t have it all figured out. I wasn’t going to rock at parenting. Motherhood brings up so many strong emotions, including anger. The anger was something I just wasn’t prepared for. After the coffee incident, I dug out my notes and research from my therapy days and put together a plan to stop yelling and it worked beautifully! The good news is, that was last time I really yelled and became that mean, monster-like hulk mom on my kids. That’s great, Amanda, so TEACH ME! I really want to stop yelling at my kids. I hear you, and I have a lot of information to share. Before we dive straight into the tips, let me make one thing clear. It is possible to stop yelling at your kids. It is…I’ve seen thousands of parents stop the yelling and find peace in their homes. 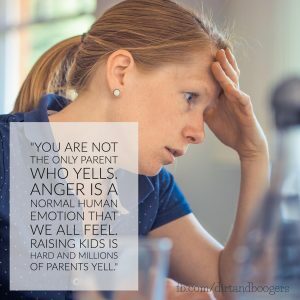 Related Post: What Should a Parent Do When They Get Angry? Take a deep breath Mama, and let’s get started on your journey to stop yelling at your kids. You don’t want to be angry. You don’t want to yell at your kids. That’s not what you imagined when you first knew you’d be having a baby. So, where to start? How do you kick this anger to the curb? The first step on your stop yelling journey is to really dig deep and explore why you are yelling. We yell for lots of different reasons. Sometimes we yell because we’re overwhelmed, distracted, because of all the noise, or a myriad of other ridiculous reasons. But it all boils down to the fact that we’re triggered by something. We all have triggers. We all have things that drive us batty and make our skin crawl. Each and every one of us have unique triggers, they key is to find the the triggers that make you explode. Think about it for a minute. When’s the last time you yelled at your kids? multi-tasking and doing too much at once? being asked too many questions all at once? talking on the phone, texting or doing something and being interrupted by your kids? A lot of parents tell me that those are some of their biggest triggers. there was too much noise going on and you couldn’t think straight. your child wasn’t doing what you asked them to do. your house got messy and it stressed you out. your child was rude and disrespectful towards you. Take a few minutes and discover some of your triggers. Find the things that make you snap into instant anger. Related Post: Why Are You Yelling? When you start identifying and paying attention to your triggers, you’ll be so much farther along on your journey to stop yelling than most people! The next step is learning how to work around your anger triggers. If noise sets you off, then keep background noise like the tv, washer/dryer, or radio to a minimum. If you can’t handle being late, add a lot of buffer time to your morning routine. If clutter stresses you out, grab a Clutter Basket and contain the mess. Once you know your triggers, come up with a plan on how to handle them. Knowing your triggers is a big deal, but there’s so much more that goes into our anger. You’ve probably heard a few calm down tips before, right? Like, take a deep breath. Count to 10. Things like that. Have you ever tried to do that when you’re already fuming? It’s not that simple calm down tips don’t work, we’re just not using them properly. There’s an anger scale that we all go through. When you’re low on the scale, like around a 2-3, taking a few deep cleansing breaths can work great. But once our anger gets to a 4-5, it’s hard to stop and take some breaths. In those moments, you need more. You need to get your brain out of it’s emotional state and find ways to calm down. 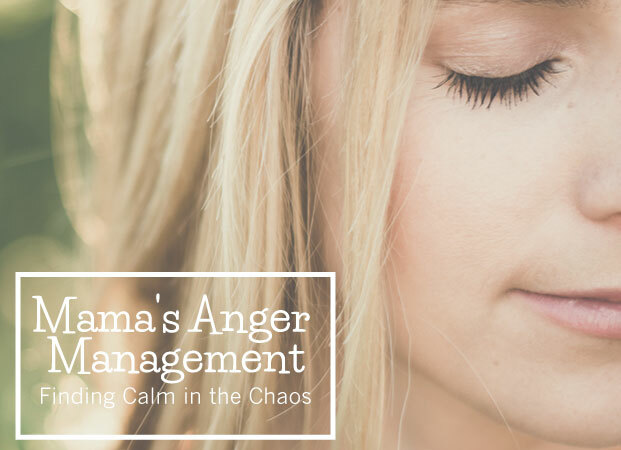 I go deep into this in my stop yelling course, Mama’s Anger Management, but you can find out more about how to stay calm by reading my post about how to use 50 Calm Down Tips for Parents. You can get your copy of the 50 tips at the end of this post, just keep reading. These tips work best when you’re lower on the scale and if you use them BEFORE you’re raging. Sometimes all it takes is a good hard shake to shake off all that anger and reset the mood or use my favorite tip from my Stop Yelling Toolbox, pretend you’re on camera. It’s amazing how you won’t yell if you think you’re being watched. But before you can really use calm down tips, you need to be aware that you’re getting angry. A lot of times we’re already walking around agitated and angry, so when something triggers us, we explode. The key is to check your level of anger throughout your day, so you can make sure that you’re calm and relaxed so you don’t suddenly explode. When I first started my stop yelling challenge, I posted yellow hearts all over the place. Each time I’d bump into one of those hearts, I remembered my goal to stop yelling and I’d check my anger. If I felt tense and frustrated, I used a few calm down tips to calm myself down. It only took a few seconds, but that’s all it took to relax and keep anger in check. My yellow hearts were my physical reminder to stop yelling, and they worked great for me. 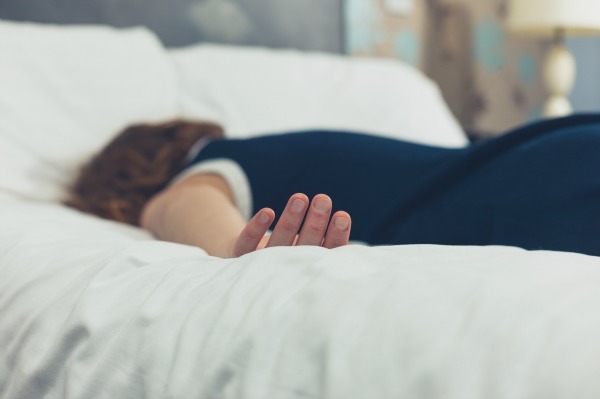 Some people use timers on their cell phone to remind them to do an anger check during hard times of the day, like getting out of the house in the morning, while making dinner, and the dreaded “I need another drink” requests and bedtime. I’ve had students wear a specific piece of jewelry, safety pins attached to clothing, or even hair ties around their wrists as reminders to check their anger. They all work, the key is to find something that you’ll be around all day and use it to remind yourself to stay calm. My most successful students work along with their spouse or partner to stop yelling as a family. They bring their kids into the plan too. Some make sticker charts for both parents and kids and hold each other accountable for yelling. They give each other support and tips to stay calm, and it works beautifully. But…I have many, many students who are frustrated because their spouses aren’t on board and they feel like they are doing it on their own. That’s how my journey began. Sure, my husband wanted the yelling to stop, but he wasn’t nearly as committed to it as I was. He didn’t think it was possible to parent without yelling. It was hard doing it on my own, but I sent him articles, I shared my victories, and worked hard to show him that it is possible to parent without yelling. Eventually, it clicked, and neither one of us are yelling anymore. 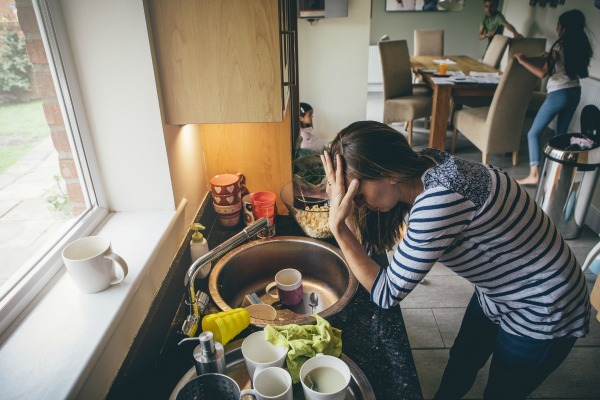 Many of my students find that, while it’s hard work to stop themselves from yelling, it’s even harder to get their spouse on board with positive parenting methods. It’s a big deal. It’s hard to take this journey on your own and even harder when your spouse is still raging and you’re trying not to. But have faith that your hard work will be worth it. Your relationship with your kids will flourish, your home will be more peaceful, and that’s something to be grateful for. But, I Yell Because My Kids Won’t Listen!! This is by far the biggest reason why parents say they yell. I mean, it’s HUGE. 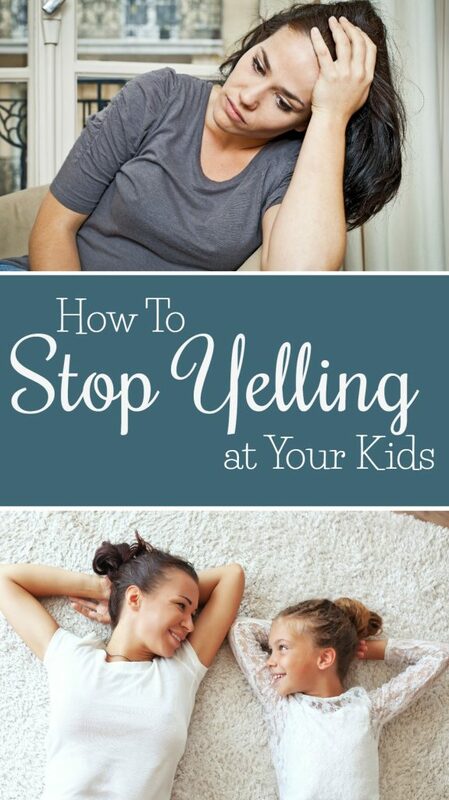 What do you do if you’re trying to stop yelling, but your kids just won’t listen?! I mean that’s enough to make any parent want to rage. First of all, when you feel like your child isn’t hearing you or doing what you want them to do, make sure you actually have their attention. It’s easy to yell “Hey LISTEN TO ME!! !” when you need to get their attention, but there are other ways to make sure that your child actually hears you. Get closer and touch them on the arm. Turn off the TV, phone, or tablet so they aren’t distracted. Flicker the lights so they look at you. Do something silly or unexpected to get attention. There are lots of ways to actually get your kid’s attention without yelling. It’s about creativity. 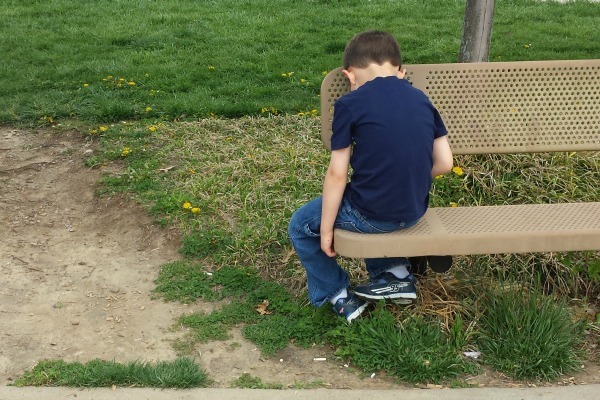 So what if you know your child heard you, but they just aren’t doing what you asked them to do? Well, that’s a whole other problem, isn’t it? I’d have to write at least a handful of blog posts to cover everything about why your kids won’t listen to you. Basically, there’s a lot of reasons why kids don’t do what they are told. Sometimes it’s because there needs to be better consequences in place, the parent-child relationship is out of sync, or the parents just need a few more tools in their toolbox. It’s an hour training that’s packed full of amazing information that get your kids to listen to you the first time you give a request. I also highly recommend these parenting books from Amazon. I’ve read a ton of parenting books, and these are by far the best out there. So what does a peaceful home with kids really look like? And what will my home be like when I stop yelling? In the years since I stopped yelling, I noticed a few things. I’ll always be a yeller. I jokingly call myself a recovering yeller. It’s a constant thing that I’ll always have to work on. Most days are good and I don’t even think about raising my voice, but every once in a while the anger creeps back in. Hey, I’m still human, I still get angry. Just because I’ve learned to do better, it doesn’t mean that I’m 100% perfect all the time. And that’s okay because now that I’ve been through this journey, I’m able to catch myself getting angry and calm down faster. This is why I give lifetime access to everyone who takes my course. Life will get hard again, and it’s nice to get a refresher of the lessons when you need them. I’m quicker to forgive myself. I have yelled again since I started this journey and the guilt was terrible. 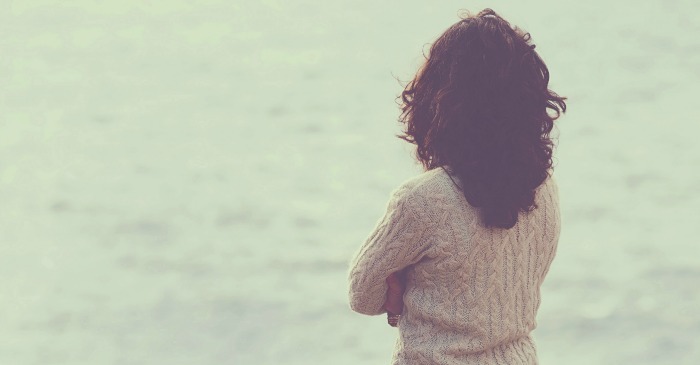 I got stuck in feeling so much guilt, that it made me feel helpless which just made me angrier at myself. I had to learn to take a step back and remind myself that I am human. I have emotions and there will be times when I will get angry…and that’s okay. When I took the time to really think about it, I realized that I already was doing better. I wasn’t as angry overall, I just had a hard moment. I was trying and I was doing better. Change does not happen overnight, it takes time. My kids won’t hate me and be ruined for the rest of their lives if I slip up every once in a while. It’s important that children see their parents get angry, so they can learn how to handle anger themselves. This realization helped me see that I had to be quick to apologize to my kids too. That sign was hung all over my grandmother’s house when I was a child. I never knew how true it was until I became a Mom myself. I set the tone in my house. If I’m walking around as a raging Mom-Monster, then my family is on edge. Everyone’s grumpy, snippy, and easy to anger. It’s up to me to set the tone. Yes, other members of my family can throw angry grenades and cause emotional explosions, but it’s up to me to not contribute to the anger and to be the calm force in our family. And it’s wonderful to know that I have the tools to keep everyone calm. You can get all of them too, in my course, Mama’s Anger Management. From my own personal experience and from spending years working closely with Moms who yell, I’ve discovered the one big reason why we’re yelling. It happens to all of us. We all fall into seasons of funkiness where we’re just unhappy, unfulfilled, and frustrated. All that funkiness easily leads to anger. 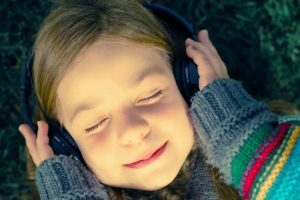 The trick to helping you stop yelling at your kids is to shake off the funkiness and to build self-care into your daily life. Happy, grateful mamas, that take time for themselves, also yell less. Do a quick check. How are you feeling these days? Are you happy? Do you have time to relax or to do things that make you happy? 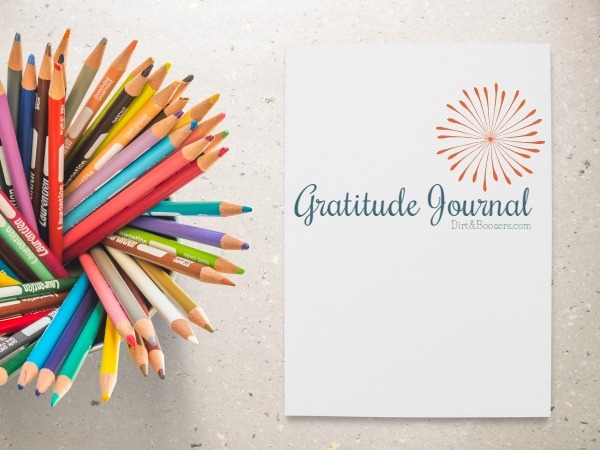 My Free Banish the Mom Funk Challenge can help you build a self-care plan that works for you and help you start to bust out of the funk. It’s already helped thousands of Moms find joy and happiness among the chaos of raising kids. If you’re in an angry, yelling, funk, it’s time to take care of you. Learning to stop yelling and control your temper really is a journey. So, I gave you as much information here as I could. But if you’re looking for a few great resources that can walk you through all the steps, check out these resources. Stop Yelling Handbook – A 17-page handbook that gives you insight and techniques to help you control your anger. 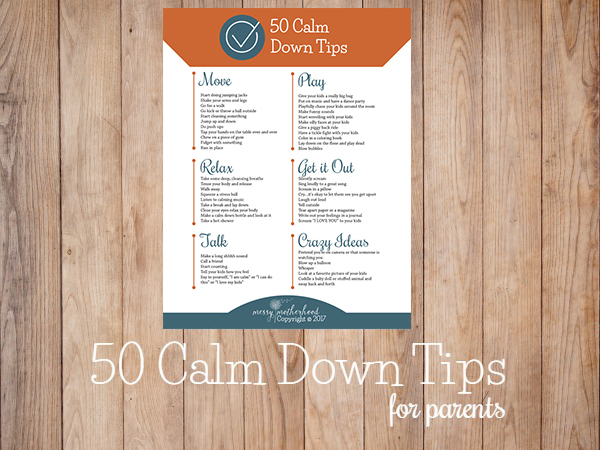 50 Calm Down Cards – Printable cards to keep with you and around your house that give you tips to stay calm. 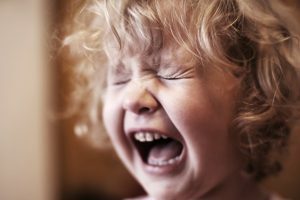 Mama’s Anger Management Course – A comprehensive course that will give you every single thing you need to stop yelling at your kids. If you have any questions or need help along the way, please don’t hesitate to reach out. Oh and don’t forget to download your copy of the 50 Calm Down Tips to help you stay calm when life gets chaotic.